The Church said schools should be a safe haven for play and exploration, and children's behaviour should not be labelled "problematic just because it does not conform to gender stereotypes". The Anglican Communion has been in crisis because of arguments over sexuality and gender. London: From tiaras to tutus, firemen's helmet and superhero cloaks, boys and girls should wear what they want without conforming to gender stereotypes, the Church of England said on Monday, in a bid to combat homophobic bullying in schools. "Children should be at liberty to explore the possibilities of who they might be without judgement or derision," the Church said in a report sent its 4,700 faith schools outlining ways to tackle lesbian, gay, bisexual and transgender (LGBT) bullying. "For example, a child may choose the tutu, princess's tiara and heels and/or the fireman's helmet, tool belt and superhero cloak without expectation or comment," it added. LGBT rights charity Stonewall last week said nearly half of all British LGBT students it surveyed were bullied because of their sexuality. More than two in every five British transgender children tried to commit suicide, Stonewall said in its report. "Nearly half of LGBT pupils are bullied. 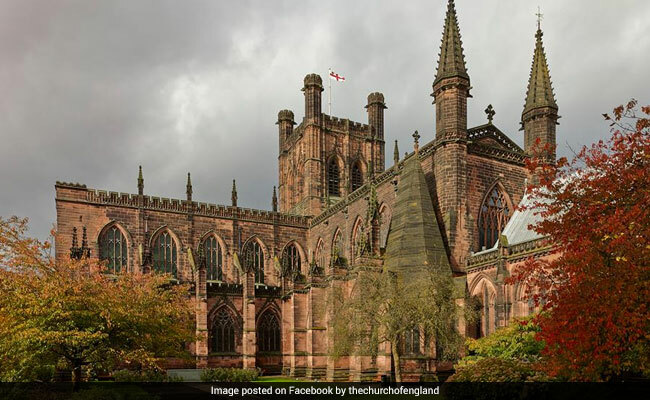 We welcome this clear signal from (the Church of England) that this must never be tolerated," the group posted on Twitter. Children's charity Barnardo's which works with schools, parents, children and carers to tackle anti-LGBT bullying, also welcomed the statement by the Church. "Young people (should) feel safe and empowered to be their full selves... How you identify should not be a barrier in your life, it should be a springboard," said Javed Khan, chief executive of Barnardo's. A YouGov survey in September said hate crimes against LGBT people in Britain almost doubled in the past four years, with one in five people targeted in the past 12 months. "All bullying, including homophobic, biphobic and transphobic bullying causes profound damage, leading to higher levels of mental health disorders, self-harm, depression and suicide," said the Archbishop of Canterbury Justin Welby. "This guidance helps schools to offer the Christian message of love, joy and celebration of our humanity without exception or exclusion," he said in a statement. The Anglican Communion, which has 85 million members worldwide, has been in crisis because of arguments over sexuality and gender between liberal member churches in the West and their conservative counterparts, mostly in Africa.